Sound – clear, sometimes loud, always clear! Depending on the event and location, L&S relies on tailor-made, professional sound technology. 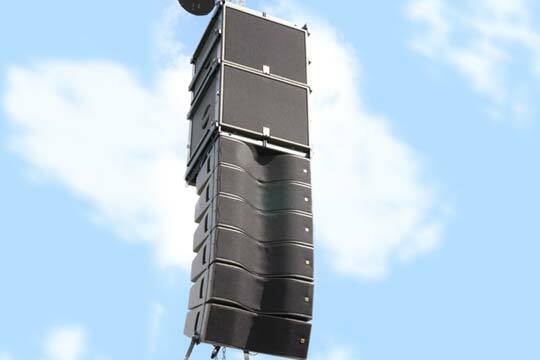 From decent sound systems for congress and congress to complex high-performance systems for concert events. We rely on components from leading manufacturers such as EAW, Shure, Sennheiser, L’Acoustics, Yamaha, Soundcraft, Audix, Seeburg and many more. 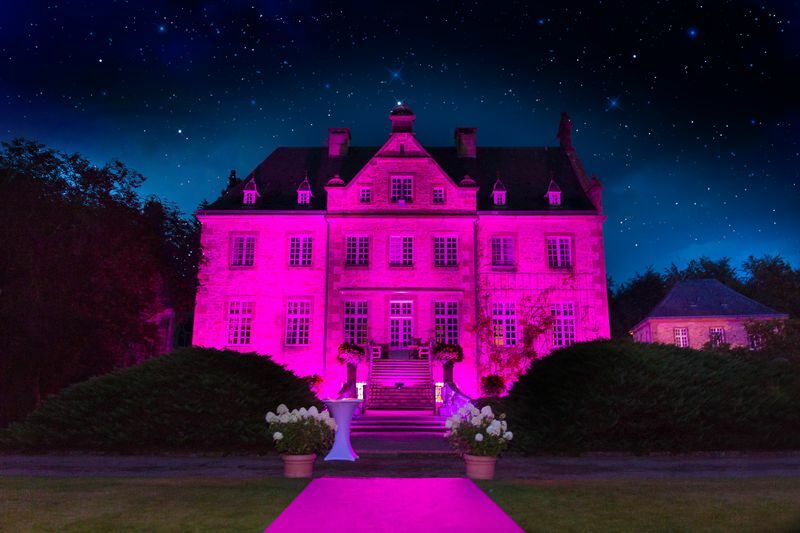 Whether you’re looking for something with a powerful, powerful effect or gentle accents, playfully light, sometimes cool – L&S puts your event in the right light. We are the right contact person. Whether you want simple lighting, or a complex lighting system. We have extensive technical possibilities for the design of lighting concepts. 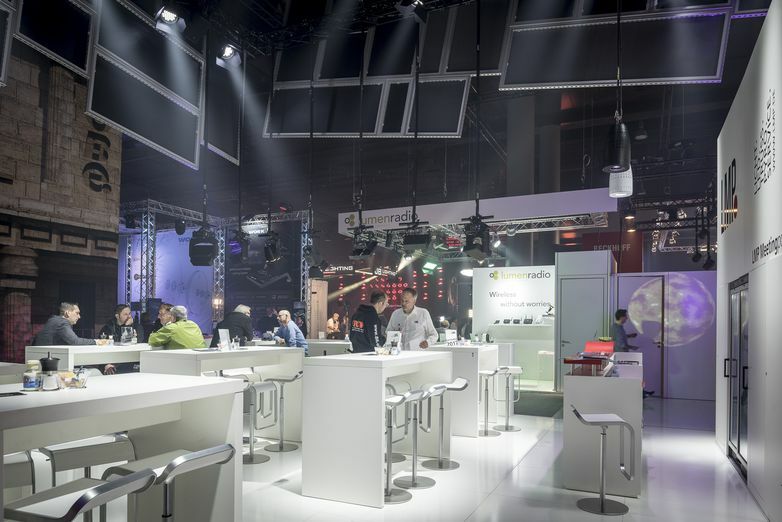 Staging your event or your stand – our lighting designers will be happy to advise you! Support your event with live camera, video recordings for information, or create atmosphere through video art. 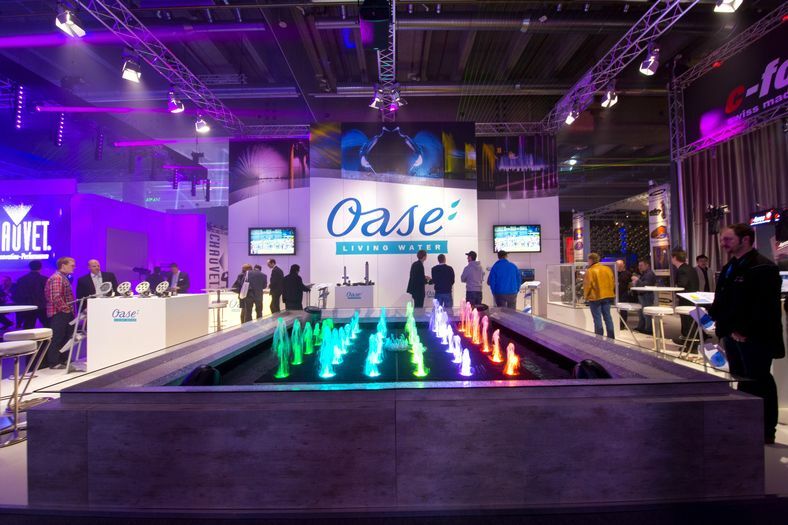 Use LCD screens, video projectors and screens as a real eye-catcher for your events and trade fairs. 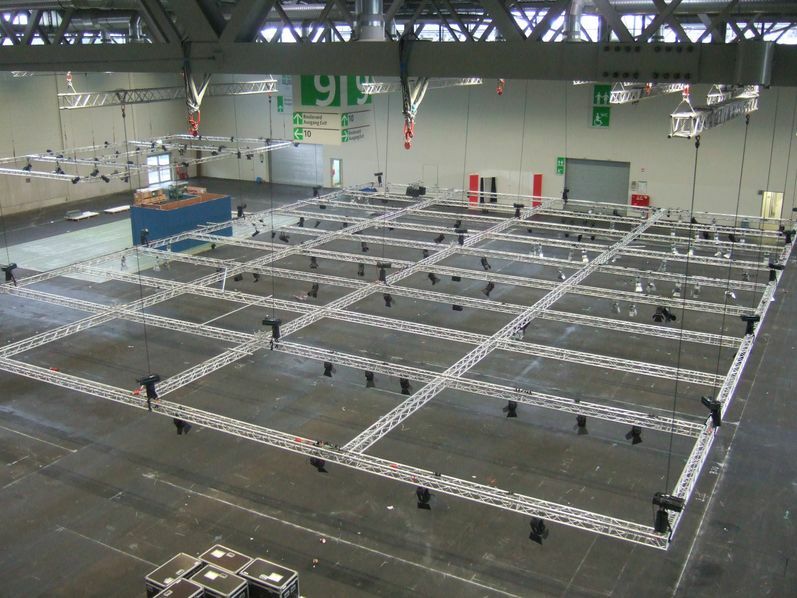 Trusses are almost indispensable for the technical implementation of an event or exhibition, whether as a holding and carrying construction for sound, lighting and video technology or as a decoration. Aluminum trusses are genuine all-rounder and offer a wide range of applications. In order to be able to flexibly and efficiently meet a wide range of requirements for modern truss structures, we work with trusses in three sizes. Starting with the M290 cross beam for the trade fair use and smaller events via the M390 crossmember for applications with medium span as far as the M520 cross beam for the heavy load area and stage structures. Our truss range is supplemented by comprehensive accessories: motor chain hoists, tower systems, floor slabs, angles and much more. We are also using traverse structures in trade fair construction. Whether as lighting fixtures for mounting remote sensing, as a suspended ceiling with textile sails or as a decorative element truss, offer a wide range of possible applications. We support you with the planning and implementation of your individual projects. Safety is paramount in the area of truss construction. Trust in L & S as a specialist company. Our consultant team is at your disposal – please contact us! Stage construction – the boards, the …! Stages, platforms and scenic play areas are the central elements of events and events. 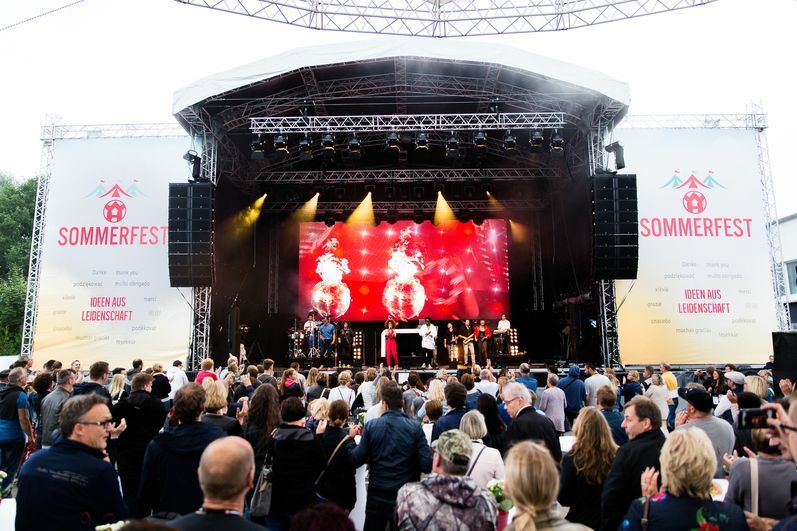 Starting with simple platform surfaces, smaller open-air stages, up to our ArcoStage stage series with 140m² or 200m² surface, we offer you comprehensive solutions for stage construction. Indoor stages for operation in halls, tents and other covered areas consist predominantly of 2m² of stage platforms and can be combined as desired. A generous range of accessories including stairways, ramps, curtains and rail systems round off our range of services. Outdoor platforms for open air use consist of a variety of components. In addition to platforms, trusses and foils, scaffolding components are also used in our larger stages. Universally applicable wall and exhibition construction systems offer you extensive possibilities for the organization of trade fairs and events. Partition walls, doors, meeting booths or seamless graphic walls – our system components allow you to implement many different possibilities. Our extensive rental program offers you attractive furniture for your test stand. Reception desks, various seating and standing tables and corresponding stools and chairs provide a stylish and comfortable ambience for your customer conversation. The equipment for your backstage area can also be rented from us. Shelving systems, possible kitchens and wardrobe systems are available.